The wooded landscape around is practically untouched and is dominated by the splendid Villa Vernaccia a Cintoia. The land on which it is built belonged to the local del Vernaccia family since ancient times, before they moved to Florence in the 14 C to work as merchants. The villa was built, according to the fashion at the time, in 1708 by Piero Antonino del Vernaccia, son of the senator Piero Ugolino and Laura, daughter of Piero Capponi. 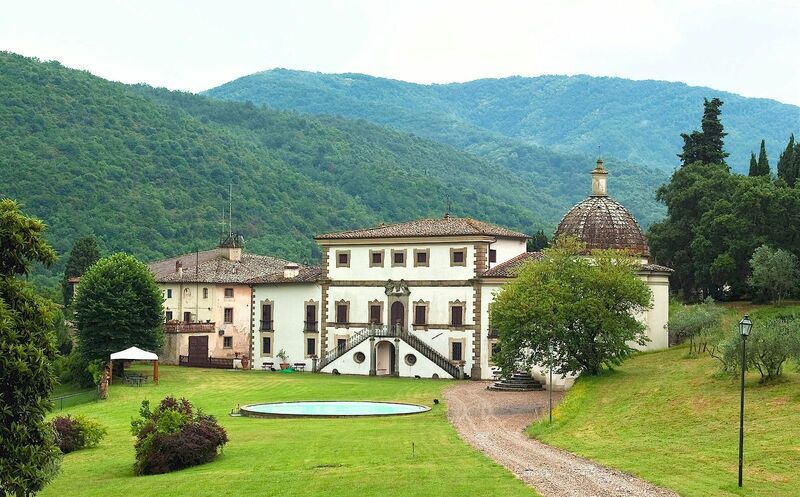 In the 19 C, the villa and its farm were bought by a Prato family, the Calamai, current owners. Today, the villa preserves its virtually unaltered 18 C appearance, both outside with the facade with its elegant windows decorated with small volutes. In the middle there is a striking staircase with two flights of stairs, which leads straight to the first floor. Inside the halls, we can still see the large fireplaces in pietra serena and the stucco works and frescoes on the walls and ceilings. Two lower side wings extend and soften the massive central part of the structure. Piero Antonino del Vernaccia also built the circular chapel and dome that is attached to the villa. The chapel is dedicated to San Antonino, an Archbishop of Florence who spent a long time in Cintoia in the 15 C.
In the forest near Villa Cintoia, there are numerous well-preserved traces of an ancient stone-paved road. 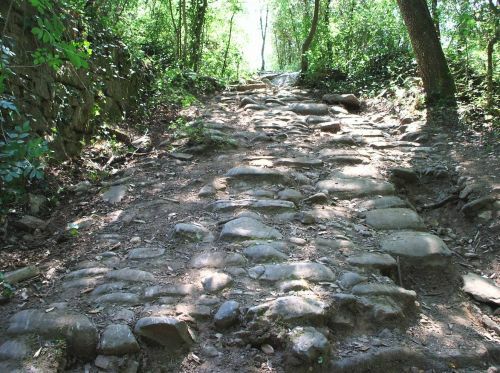 Most of these stone roads in Chianti are of medieaval origin, a classic example being that which runs through the woods from the Castello di Lamole to Panzano. 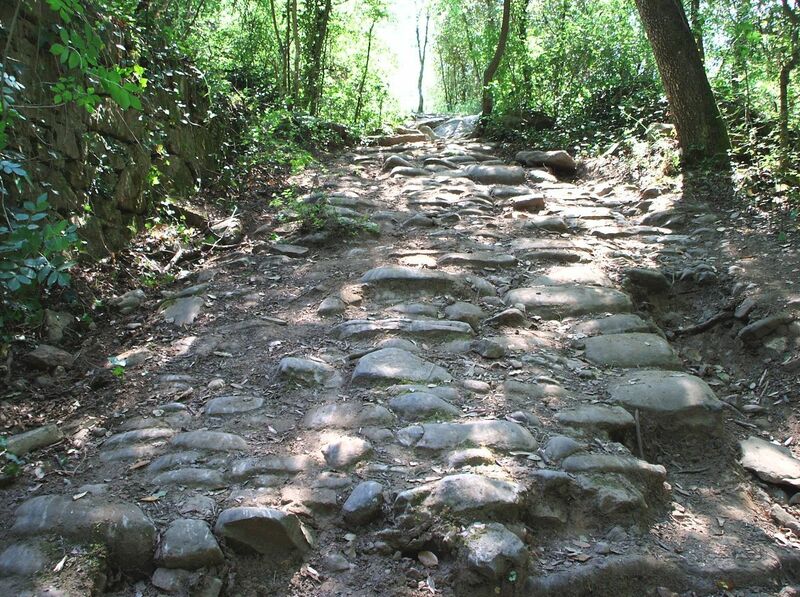 However, experts in this field strongly suspect that the stone-paved road near Cintoia is of Roman origin. The Romans definitely built roads in this area and the Castle of Mugnana is probably built on the remains of Ad Aquileia (Equilia), a Roman way-station on the Via Cassia.